Open from 06.00 AM to 10.00 PM daily, spend a little while to loosen up your body in our outdoor pool. 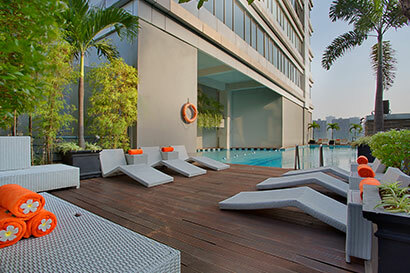 Indulge yourself with the tremendous swimming experience that overlooks the business buildings at 10th floor. 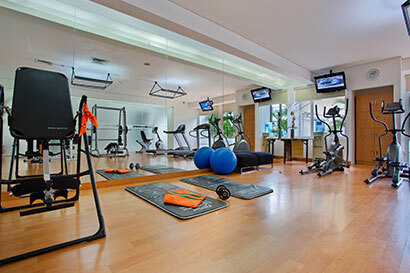 Work up a sweat to maximize your healthy life in our Fitness Center where located at 10th floor and open from 06.00 AM to 10.00 PM daily. 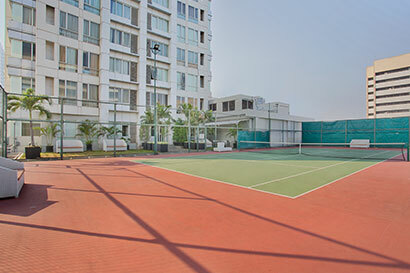 Experience a togetherness sport with your business partners or loved ones at our Tennis Court in 672 sqm.